I have recently begun working with a new artist collective called Factory Obscura to collaborate on a fully immersive art experience that will first be unveiled at Current Studio in Oklahoma City. 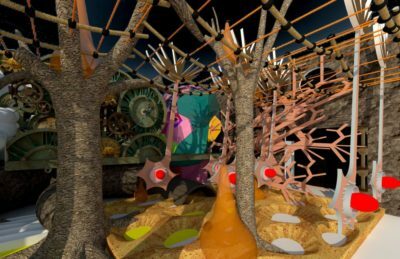 This is a super exciting project, and we've been meeting frequently since early this summer to plan out a very ambitious installation that will open this November (see the image to the left for a snapshot rendering created by Adam Lanman). You can find out more and learn about sponsorship opportunities on Current Studio's site, or in this article by Uncovering Oklahoma. Right now, this project takes up a good amount of my time and will continue to fill more as we get further into creating the space. 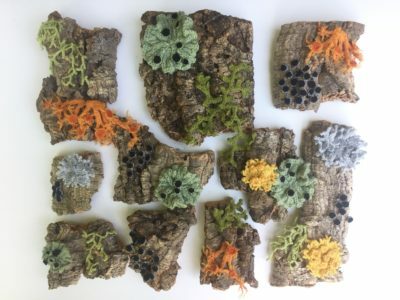 After going on hiatus for an artist feature at 108 Contemporary's gift shop in Tulsa this spring, my online shop is now open again with lots of art, including knitted mushroom/lichen/tropical plant wall hangings, terrariums, and table top niches. While I hope to figure out the mechanics of the shop hosted here on my site at some point in the near future, Etsy is still the primary sales vehicle for my art. 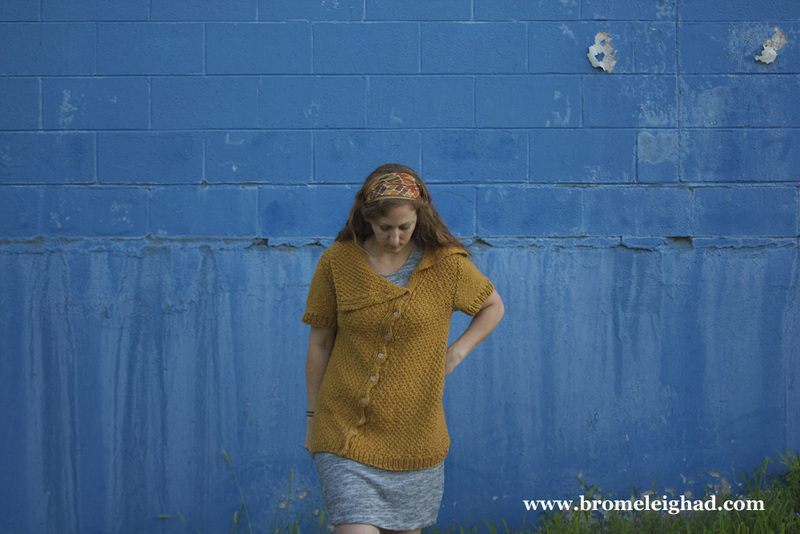 You can check out all of the new things at BromeLeighad. About a year ago, I began the installation process of my public art project, "Contained Aesthetics" (pictured at top of post), which was funded through the Artist Invitational, a program of Downtown OKC, Inc, and contributed to by some very generous Oklahoma knitters through the donation of knitted leaves. Located on the fence at the Downtown Oklahoma City Community Basketball Court on the corner of Reno and Hudson, "Contained Aesthetics" started out as a few small sprigs near the ground and grew weekly over a span of two months into a 5'x5' knitted trumpet creeper vine that budded and bloomed at its completion. The vine has held up surprisingly well, but in less than two weeks, I will begin to take it down. For those of you in Oklahoma City who would like to see it one last time, I encourage you to do so ASAP. I plan to remove in one piece if possible, so that it may be reshaped and mounted on a different base. All of that is dependent on its condition, however. In the least, I will update my portfolio to include information about the concept and lots of photos. The best documentation of the project at this time exists on Instagram through the hashtag, #containedaesthetics. Some smaller recent projects include knitted orchids that I made for Current Studio's Art of the Month Club. This is a really cool program where you sign up and receive a small piece of art from a different local artist every month - talk about a way to build a collection. Find out more about that here. I also participated in an exhibition in Tulsa called "Please Touch the Art". This unique show encouraged use of all senses when experiencing art, rather than just what may be seen. Geared toward the visually impaired, printed labels for the work also included braille. I was very excited to collaborate with the very talented, Lauren Zuniga, who wrote a beautiful poem about my work, which was called "Symbiotic Mosaic". I plan to get more images of this work up in my portfolio soon. On the personal front, we recently took a trip to New Orleans, and I felt like a kid in a candy store looking at all of the amazing vegetation there. Wow! Maybe a topic for a future blog post? I have a lot of pictures! We are preparing for another excursion later this summer to Rocky Mountain National Park - perfect timing for an escape from the misery that is Oklahoma in August. The bermuda grass in my garden is way out of control this summer, and I'm seriously considering building raised beds next year. And last but not least, we acquired another cat last winter! A former alley cat named Maurice Minnifield (brownie points if you know where that name came from). That's all for now; Happy Weekend! You may have noticed by now if you follow me on Instagram or Facebook that I've been cryptically posting images of works in progress involving knitted leaves, hundreds of knitted petals, and stalks, under the hashtag #missingpieces2016. I'm excited to finally tell you a little about this project that I've embarked upon and will be sharing more about over the coming year. As a self proclaimed nature enthusiast, I've always been interested in natural observation, which has contributed to the detail in my previous work. In addition to this interest, throughout my coursework and professional experience in the field of forestry I have developed a fascination with interconnectedness-- the phenomenon of a niche and how it is impacted by changes in the surrounding ecosystem. Even the smallest shifts in an ecosystem's makeup can influence the future of that setting, even though it may be undetectable to us. This past year I did some reading about the monarch butterfly and the reports of reduced numbers of the species throughout its native range. Researchers believe that this is due largely in part to habitat loss in overwintering sites through issues such as deforestation, and climatic factors. Another major aspect of this decline is the scarceness of milkweed plants, namely those in the Asclepias genus. Increased use of herbicides and other agricultural/roadside management have impacted the size of the milkweed population that is present across the region that monarchs migrate through. Monarchs use these plants as a nectar source, but they also rely on them to raise the next generation that will continue the migration. The effect of these missing pieces trickle down to impact the livelihood of one of the most well known insects in North America. If you're interested in reading more about this topic or want to know how you can help, check out the Monarch Joint Venture. Missing Pieces is a study on cause and effect in nature, through fiber sculptures of plants from the Asclepias genus. This next year, I will be knitting flower heads and entire plants of species that are native to my region for a solo exhibition at The Project Box in the Paseo District of Oklahoma City in August 2016. 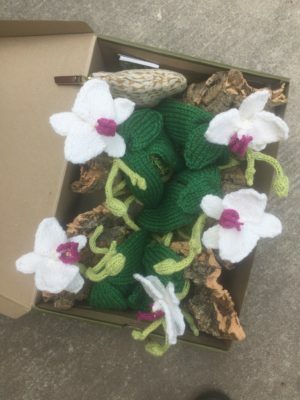 Knitted botanical sculptures will place these plants underneath a microscope, exploring their unique features and vast responsibility in the entomological world. I'm very grateful and excited to have been awarded a Creative Projects Grant by the Oklahoma Visual Arts Coalition for this undertaking, and am excited to share the process in this space as it develops. "Tuberosa", the first sculpture for Missing Pieces, inspired by butterfly milkweed. Now that my web site is live, I'm back on course to finish up this project once and for all. Another minor holdup this summer involved finding the right yarn for this species - black jelly oyster. After going through my immense stash of every color you can think of (seriously, I think I own over half of the available shades of Knit Picks Palette), I finally found a hue that was satisfactory. The most interesting part about black jelly fungus is the underside, so just imagine that the branch these little guys are growing on has just been overturned to expose the surface that has been buried in the duff.... very CLEAN duff, obviously. The bottom of these forms show some intricate detailing for the gills that is unfortunately not too visible in my photos due to the darkness of the color (there had to be a drawback), but trust me, it's there! I used the same stitch technique as I did with the gills of Lactarius indigo, if that helps. I tend to stick to fairly simple sweater projects, partly because I tend to prefer bold colors over ornate stitching, and partly because I just like the ease of sailing through a stockinette body after a long day at work to help me unwind. The motif on the Imogen Tee pattern is just so pleasing to the eye, however. I believe I first saw it through my Instagram feed and knew that I had to find the pattern. That's how it is with me and knitwear patterns. There's no wishy-washy indecisiveness of "well, I guess I'll start on this...." It's always more like "THIS! It without a doubt HAS to be THIS!" And so it goes, and I end up with 5 things going at once, but at least I'm enthusiastic about all of them. I digress... This design is by Carrie Bostick Hoge for Quince & Co. 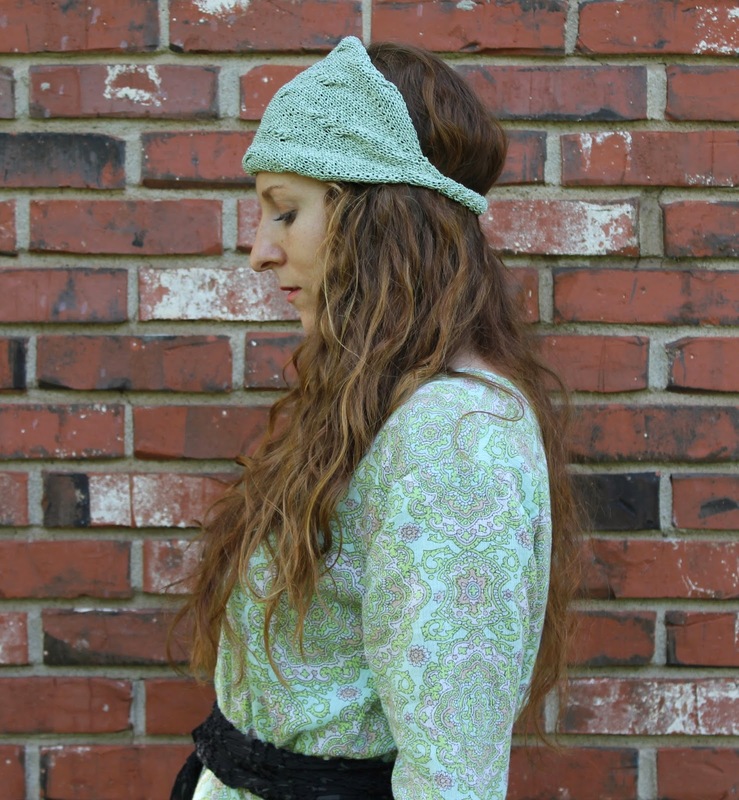 I opted for Knit Picks Lindy Chain over the Quince & Co Tern. I've had some curiosity about Lindy Chain since it was debuted and decided to try out the Celery colorway. So far, I've not been disappointed. 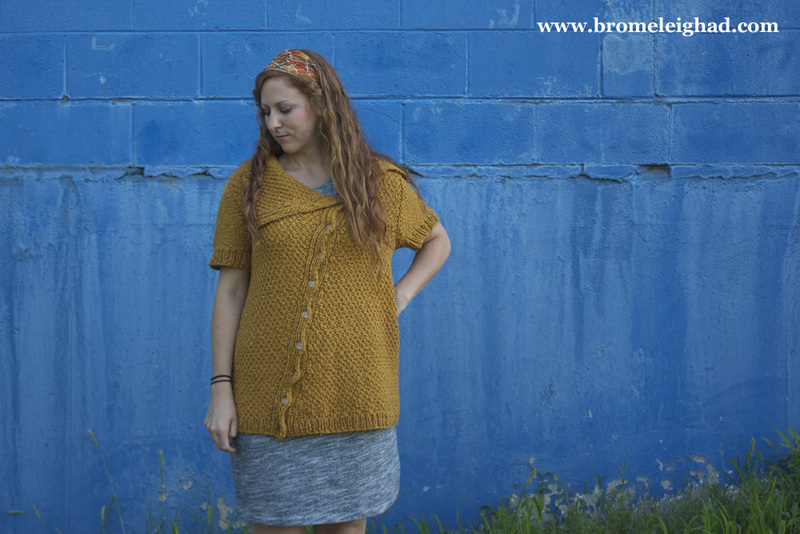 My motif is a little more open than on the garment shown on the model. I will need to wear a camisole underneath it once it's done, but I think the stitch definition will pop once it's blocked and it will make a nice, cool, summer sweater. One that I will finish just in time for fall to get here. It feels good to be finishing up some projects again! Things have been a little hectic around here, and I have a couple of projects going that still need to be shared. This is one that I finished a few months ago and just recently sewed the buttons onto. It may finally be worn instead of draping over my studio chair looking pretty! 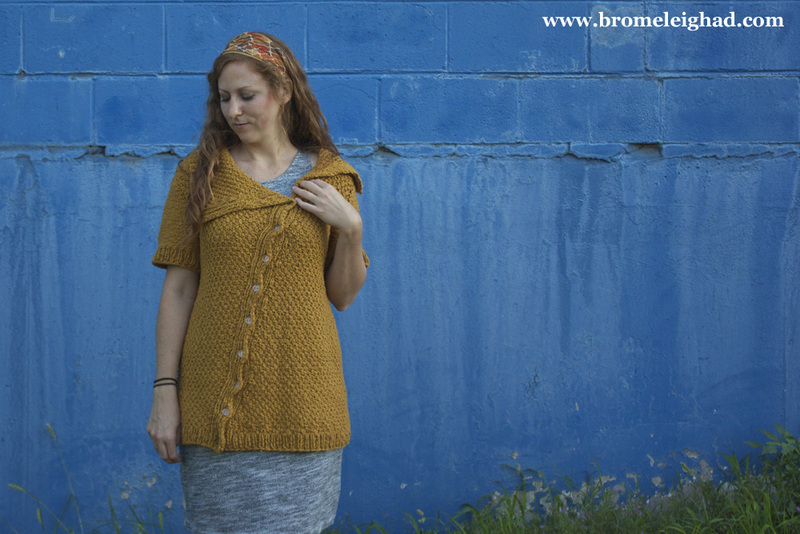 The pattern is Twenty Ten Cardigan by Veera Valimaki, knitted in Knit Picks Billow yarn in the Turmeric colorway. The finished garment turned out a little large, but I expected it to be a little oversized since the gauge of the yarn I used was slightly larger than that of the yarn the pattern called for. By the way, everything I said in my previous post about Billow-- I still mean it. 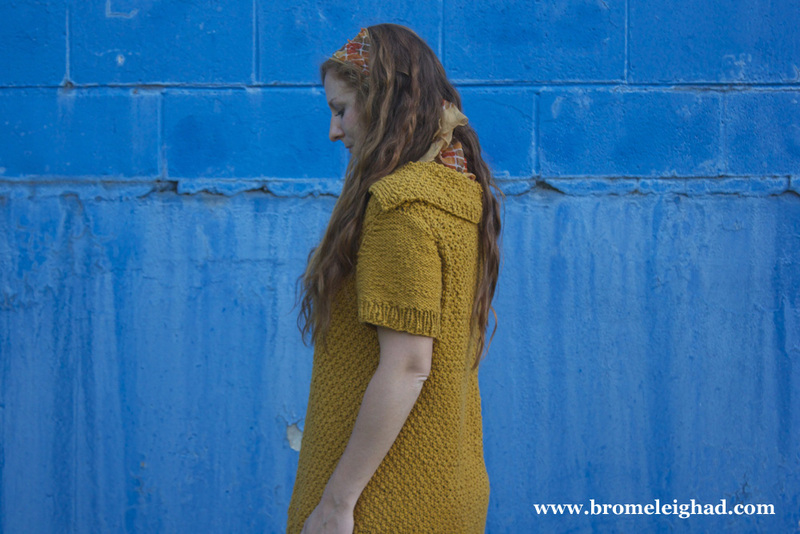 This cardigan is so soft, and the moss stitch pattern has beautiful definition. 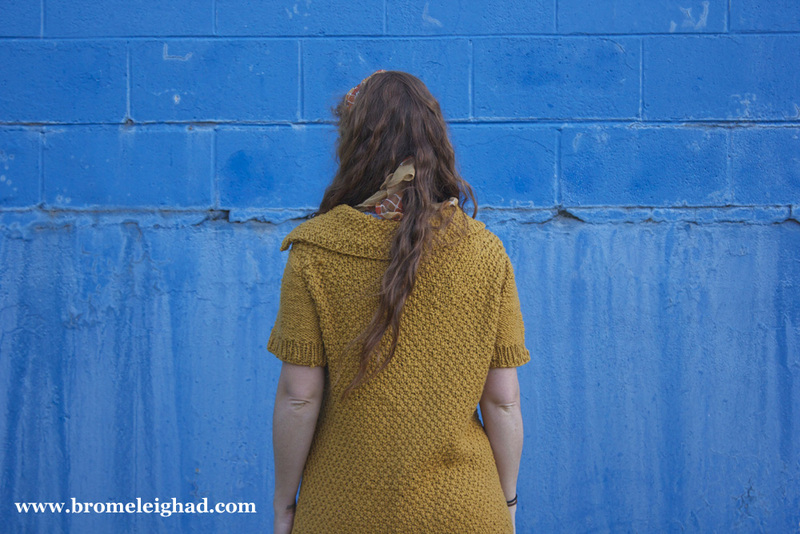 I would love to use it again for a different project, especially with all of the gorgeous colors available. Lastly, I feel like I just need to say something about this wall. Wow! Part of me felt like I was standing beside Frida Kahlo's La Casa Azul (or at least I was wishing it was), and the other part was feeling nostalgic for sidewalk chalk from back in the day. I've been eyeing this building for a while, wanting to get FO photos there and the contrast with the turmeric shade was just right. That's the final pattern from my Veera Valimaki project rule of threes! Which designer should I move on to next? 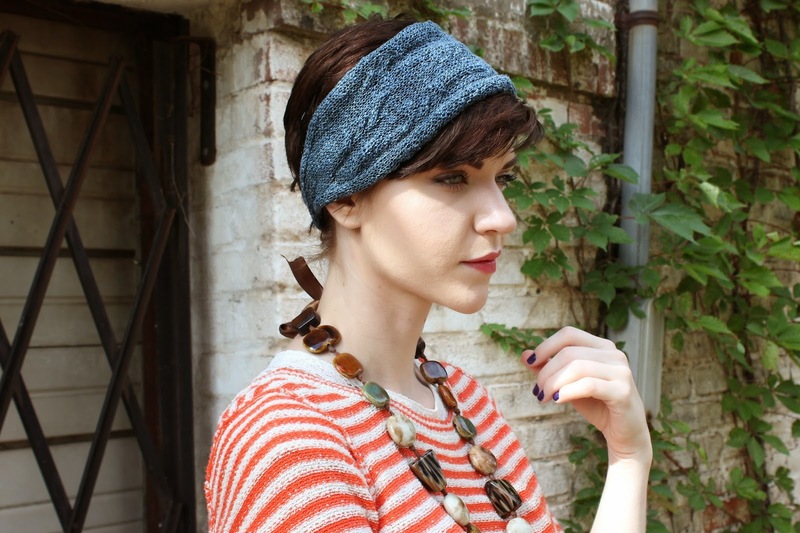 I'm in the process of updating the shop with ready-to-wear knitted headbands, made from my original pattern the Urbanite Garland. 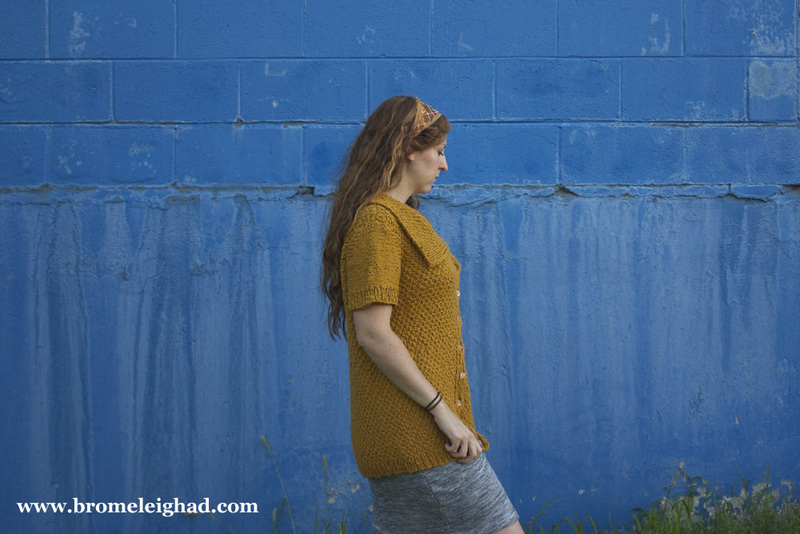 If you've been eyeing the pattern but are not a knitter, these are for you! Perfect for keeping your hair out of your face on a windy day or seeking an effortless style when going out with friends, the Urbanite Garland is the ideal summer accessory. I created this design originally to get the utility of a bandana-- just dressed up a little... and I pretty much live in it on weekends. It features a wide band across the top of the head (about 8" wide) and tapers on the sides to a 3/4" band on the back. Subtle cable details accent the wider portion, while the thin part of the band has a more pronounced cabled or twisted appearance. The headband may be worn with the maximum width spread across the top of the head, or scrunched up a little for a different look. Originally just available as a knitting pattern, I'm excited to list the Urbanite Garland as a ready-made accessory, no knitting required! Check out the available colors here - more to come soon. 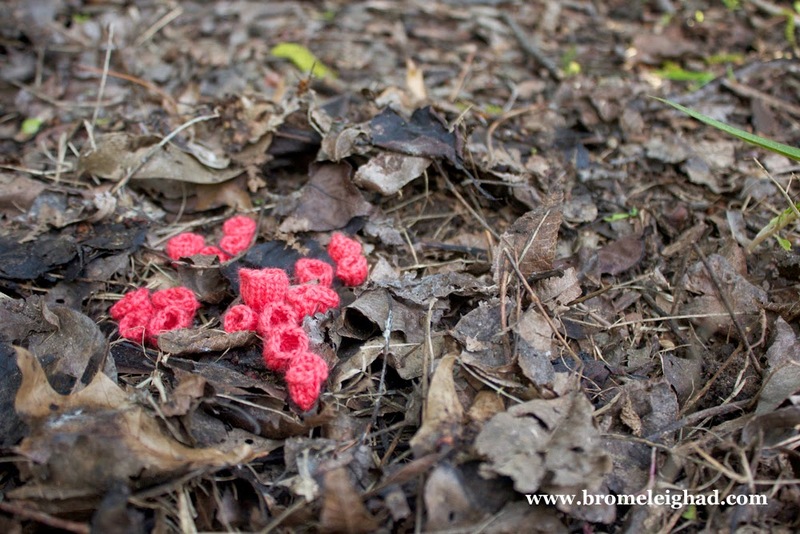 Found in burned areas where morels are abundant, pink burn cup (Tarzetta rosea) may cover the ground. 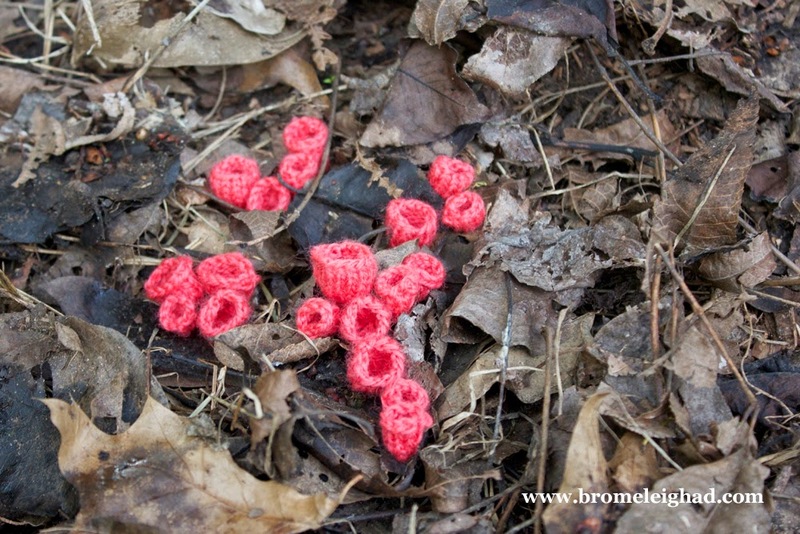 While I'm sure I would be pretty jazzed about finding a ton of morels, these would probably grab my attention even more! I would love to do a large installation with these - the color is so vibrant and they are very simple to make. Apricot jelly fungus has been on the list for quite a while and has finally made its debut! It's really starting to hit home that this project is coming to a close - Of the several phases that Berroco provided yarn for, this was the last to create. Imagining the curled, gelatinous structures of this fungus with each increase row, I continued to savor the softness of Ultra Alpaca Fine. 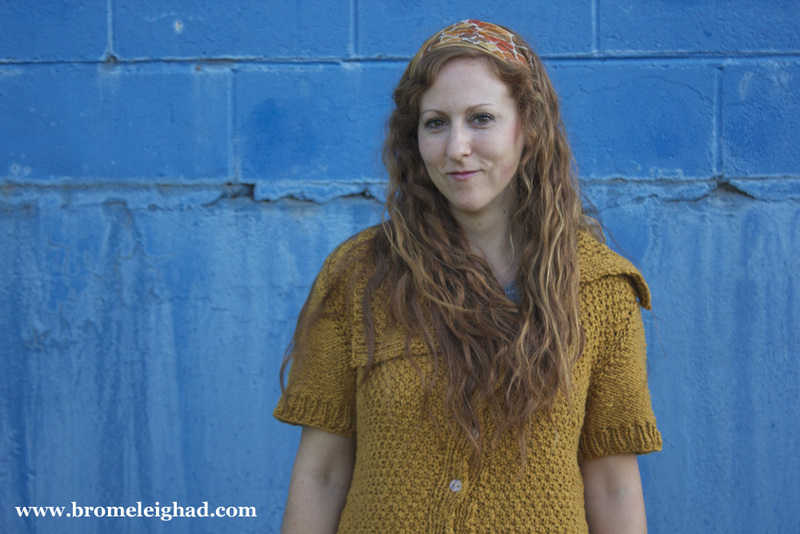 It's unlikely that this fiber will ever leave my list of favorite yarns. I like how the natural curl of the yarn in a way mimics the shape of this species. The Grove Mix colorway seemed to match up nicely as well.